This time in one week, 24th June 2017, Coldblow Lane, SE14 will be set up in the Dewars Centre, Perth, in readiness for the weekends exhibition. 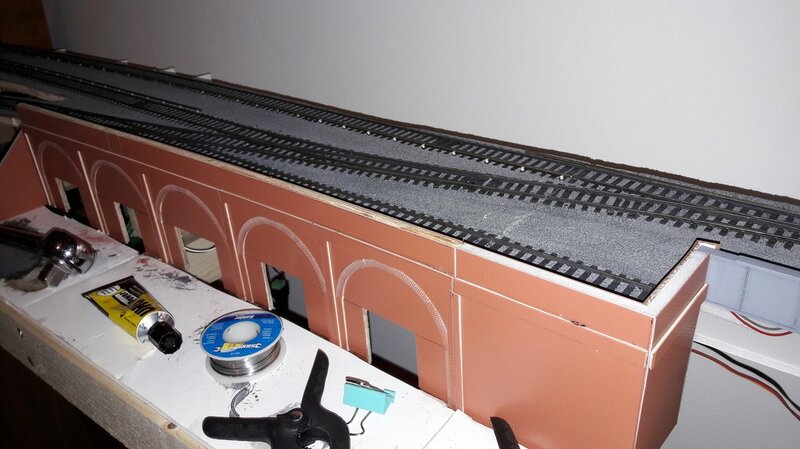 Currently the layout is undergoing final painting and weathering, along with some final detailing. 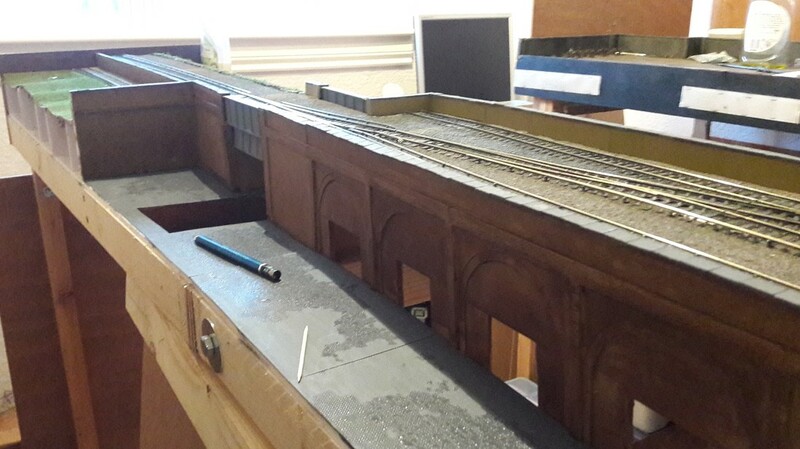 Whilst far from complete, the layout is fully working and the stock for the upcoming show is 90% complete. 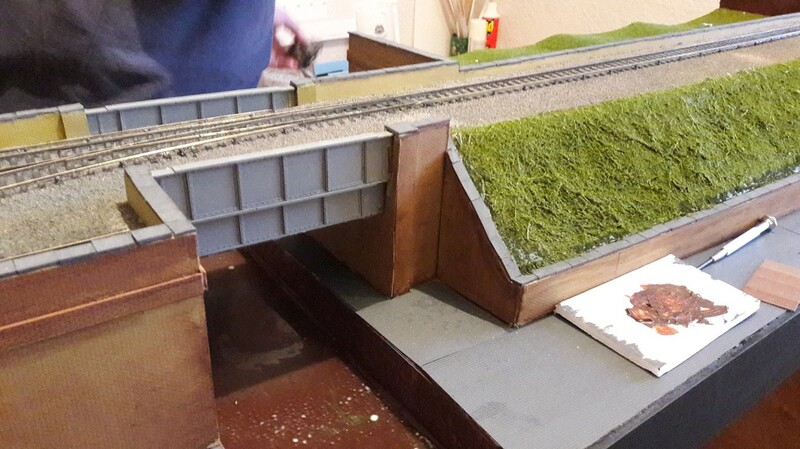 A push will be made over the next couple of weeks to finish all the brick courses before painting, scenics and detailing are tackled. Progress on Coldblow Lane has been slow, but steady. 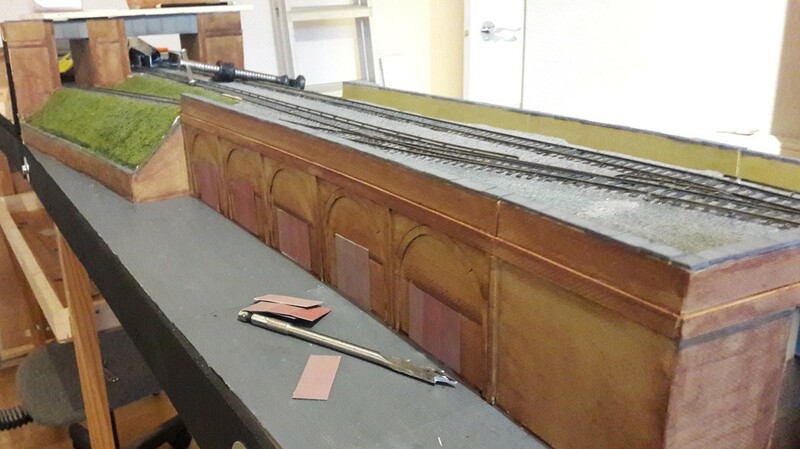 Most of the 3rd rail insulators and rail has been installed and work has almost finished on the arches and walling on the front of the layout as can be seen in the photo's below. 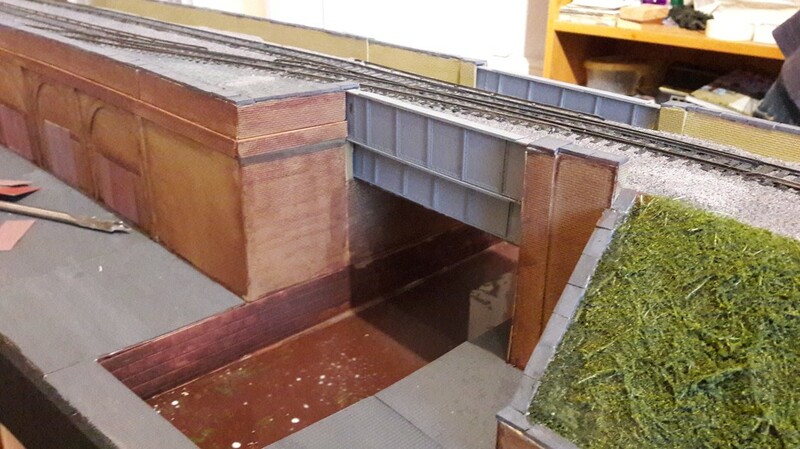 Work will continue on the other side of the layout shortly. 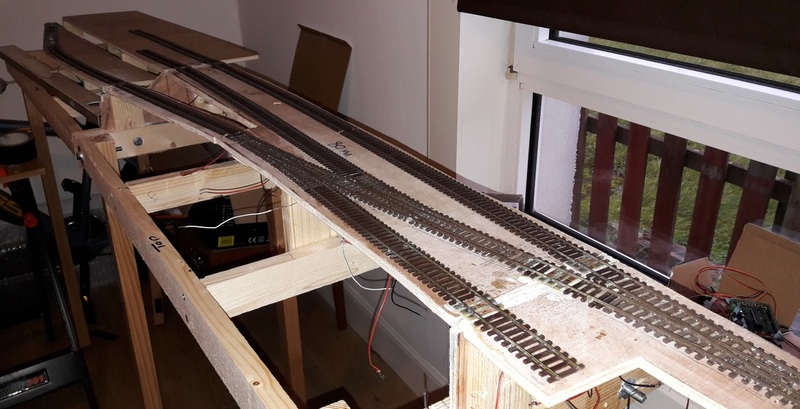 Having seen an idea on RMWeb, its been decided to do away with a seperate control panel for Coldblow Lane, SE14, and build it into the layout, using Hornby's age old lever switches. Joe has always wanted to control a layout pulling and pushing levers and now this is his chance. 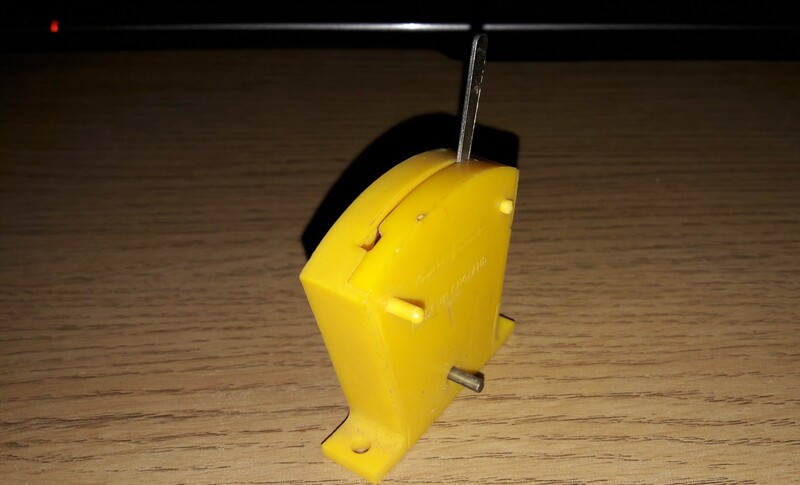 3 of these trusty old R046 2 Way Lever Switch were picked up from eBay for buttons and will be used to actuate the servos to switch the points. 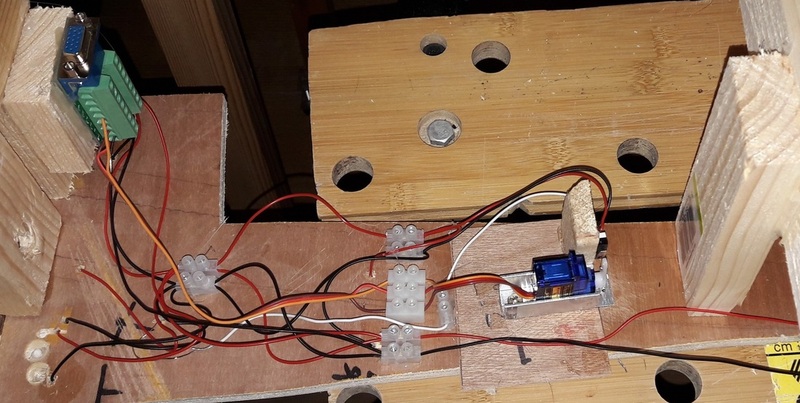 The plan is to fit a the common negative return to the central metal pole that feeds though each switch body, and the positives to the left hand contact strips. These will feed back to the Megapoints board via a multi-pin connector of some sort. 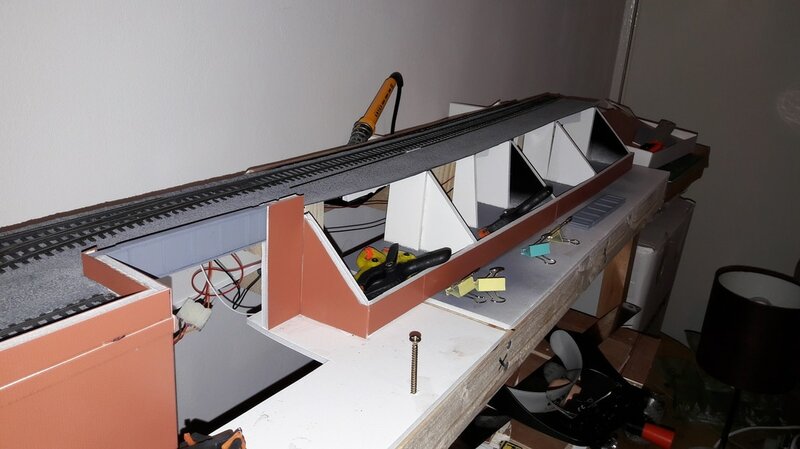 More progress has been made, this time with the baseboard wiring. 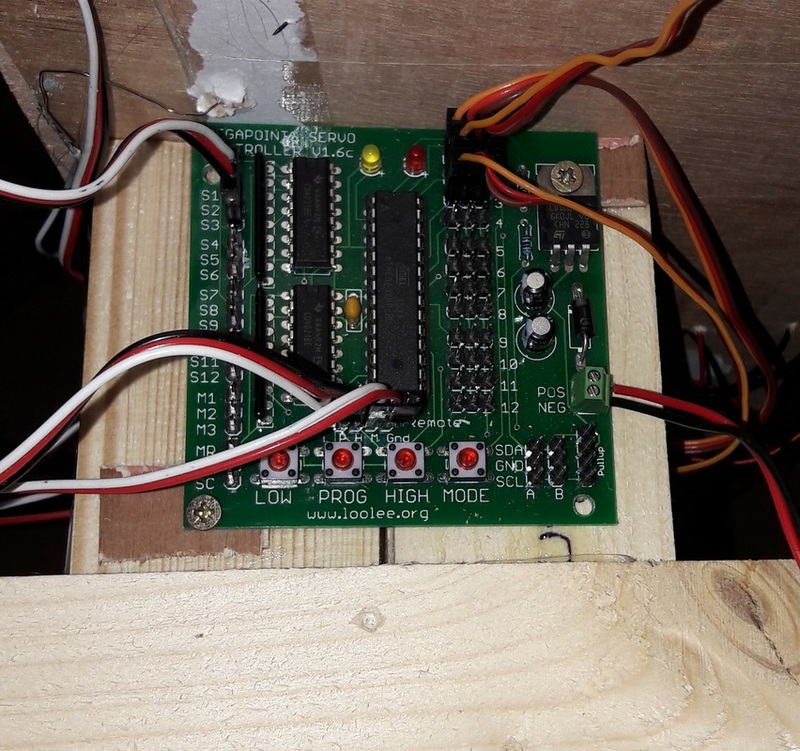 All wiring is now in place, including the servos for the point control, and the multipin connectors to the control panel and each board. 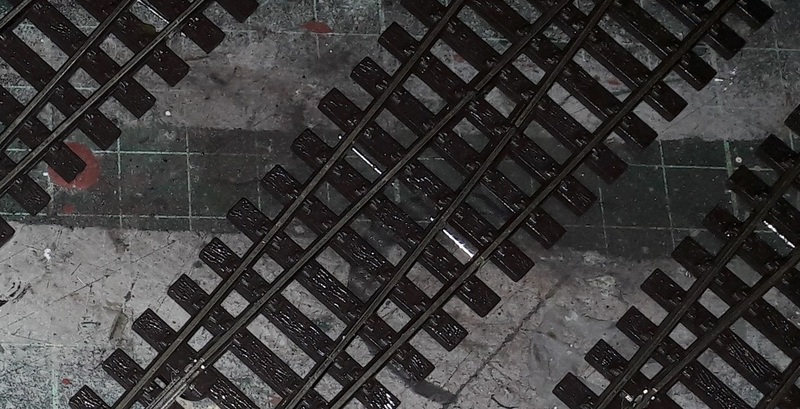 A Hornby Sentinel industrial diesel shunter was run over all track work to check for any dead sections, but all was fine. The photo on the left is the Megapoints Control Board. The orange/red/brown wires are the servo control wires, the white/red/back at the top left is the wiring for the switches to control the servos and the white/red/black wiring at the bottom of the panel is for the remote servo programming & setting. Finally the 9v DC power input red/black wires come in from the bottom right. ​Attention has now turned to track painting and planning the control panel. The photo's below show the current state of play with Coldblow Lane's baseboards as of Friday 11th Nov 2016. 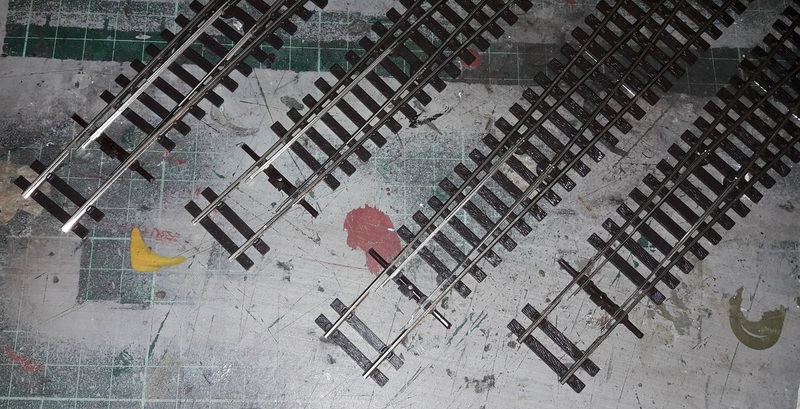 Tracklaying commenced soon after. 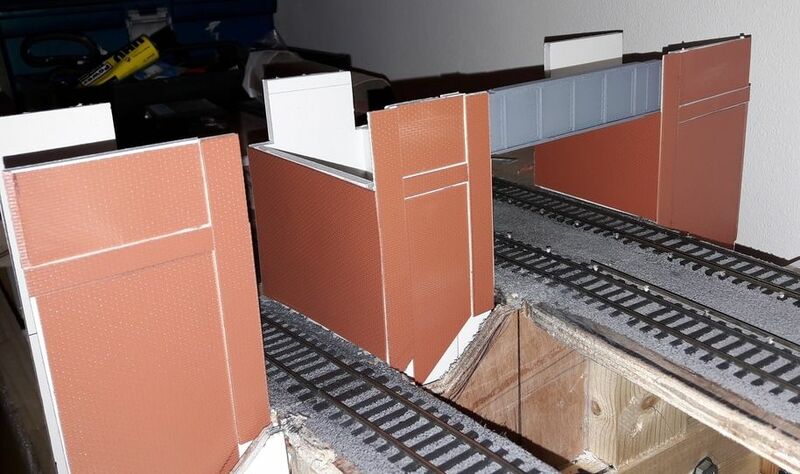 The 3rd photo essentially shows what will be the fiddle yard. 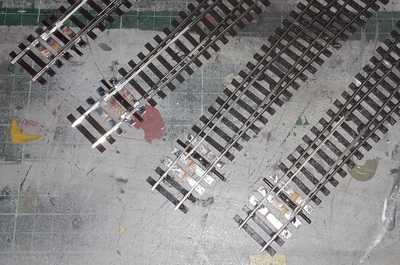 The leftmost track is the industrial spur, whilst the middle and right tracks will be cut back to facilitate the cassette storage system Im going to use. 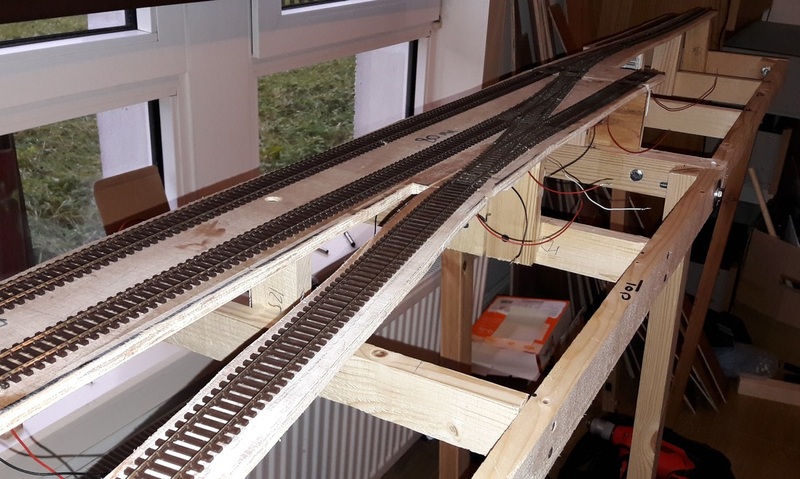 With the track now in place, attention now turns to the electrics and point servos. The dropper wires for the track power were soldered before the track was secured in place. Not happy with the looks of reliability of Peco points, after coming across this document I decided to take a knife to my points. I wont go into detail as the link covers all that needs to be done very well, but to sum up I removed the plastic sleepering around the tiebar area (photo 1), and replaced these with single-sided copperclad strip (photo 2). The first two photographs show the before and after effect. I also added soldered links between the running and stock rails, taking away the reliance on the point blades for power conductivity, as per the third photograph. Time will tell if these modifications make a difference, but one paint and power are applied I will hopefully notice a difference.